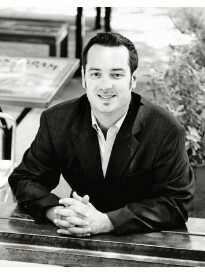 Mike Whitsitt is a franchise owner of a Goosehead Insurance agency in Sugar Land, TX. As residents of Fort Bend County, Mike and his team know the challenges many local families face when it comes to their insurance needs. We are committed to finding the best coverage at the best price by shopping over 20 A rated carriers on behalf of our customers. As independent agents, we work for and represent our clients, not a lone carrier. We strive not to find, but rather become the solution for your insurance and risk transfer needs. Prior to partnering with Goosehead, Mike worked as a Liberty Mutual agent for 8 years, where he developed his professional integrity and learned the insurance industry, being named a Top 100 Agent in Texas Monthly 4 consecutive years in a row. Mike has a strong desire to advise and educate his clients and values the trust they place in his expertise. With the ability to offer multiple choices for insurance, we are dedicated to finding options tailor made for each individual. Mike is an alumnus of Texas State University with a degree in communication and economics. When he is not in the office, he enjoys spending time with his wife and 2 children, hunting, and playing guitar. Mike and his team are excited about working with you and look forward to becoming your trusted insurance advisors for years to come.